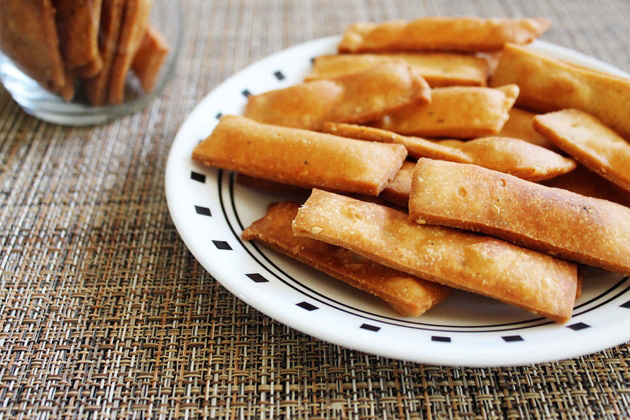 Namak pare recipe – easy to make snack recipe. Make big batch, store in the dabba and enjoy as a snack with cup of tea. 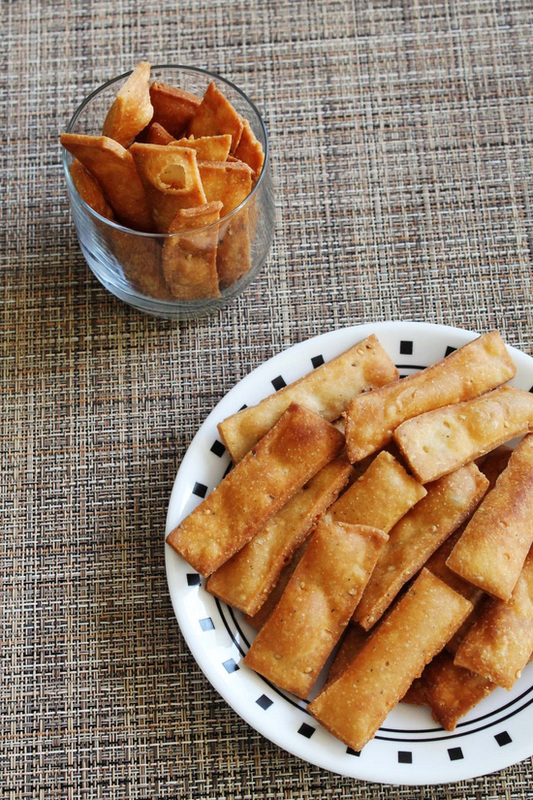 The texture of the namak pare is crispy and flaky. Addition of oil in the dough makes it flaky. 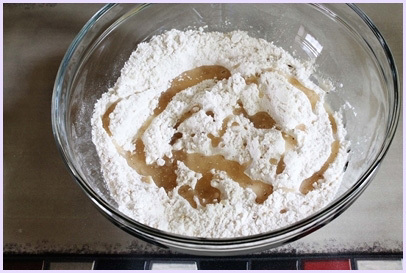 Though you need to follow the exact flour and oil measurement to get the perfect flaky texture. Addition of sooji in the dough make them crispy. I have added sesame seeds, but if you don’t like you can skip it too. Diwali festival is starting soon, So I have made a batch of namak para along with other snacks. 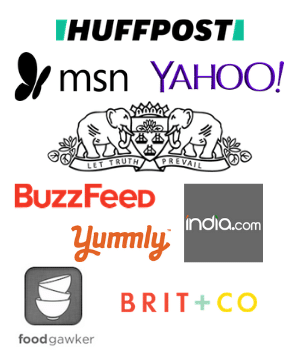 Just like my mom, I do make many different varieties of snacks during the diwali season. She always make big batches and I do make small batches. Just because we are only two of us I and hubby. 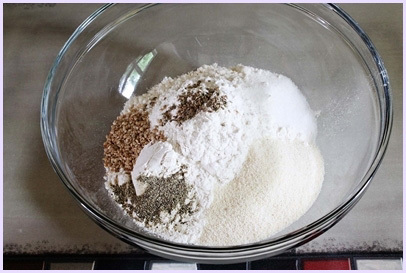 1) Take all purpose flour, sooji, salt, sesame seeds, black pepper powder, and carom seeds in a bowl. Mix well. 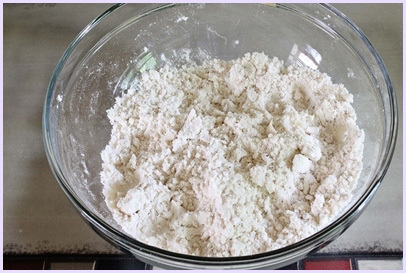 3) And rub it with flour mixture and it will resemble crumbly texture. 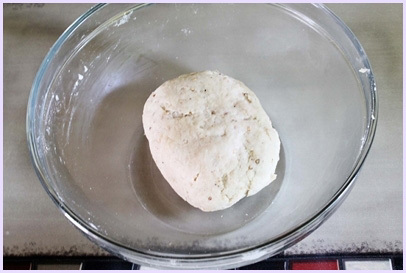 4) Now add little water at a time and start kneading the dough. 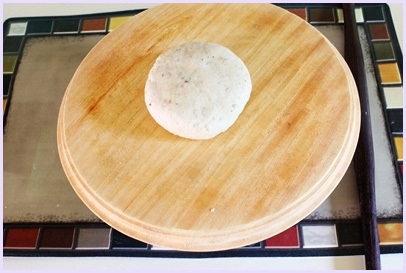 Make semi-soft (similar to paratha) dough. Water quantity may vary. dough should not be too tight or stiff (like farsi puri) or not too soft like roti. 5) Cover the dough and let it rest for at least 15 minutes. 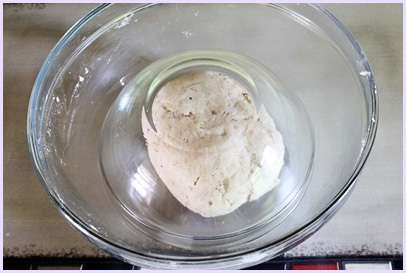 6) After 15 minutes, knead the dough once again. Divide it into two equal portions. 7) Flatten it out between your palm. 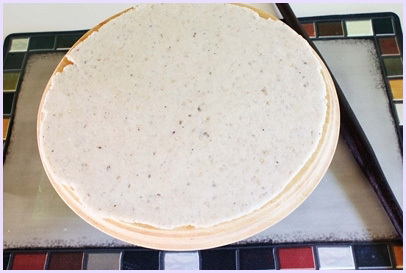 8) Start rolling it into a big circle (about 9-10 inch in diameter) using rolling pin and rolling board. 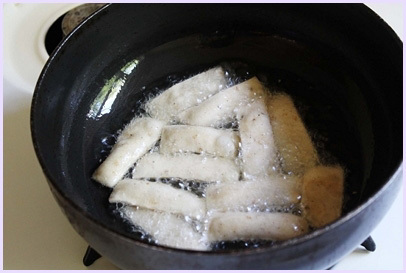 While you are rolling, on other side heat the oil in a pan on medium heat for frying. 9) Cut into desired shape using sharp knife. 10) Once oil is hot, add few pieces in the oil. Do not over crowd them. 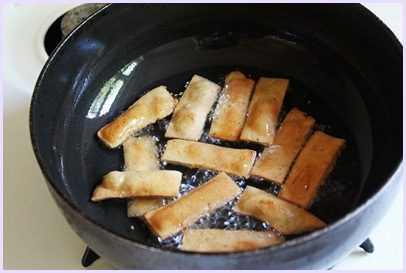 11) Flip them halfway through for even browning, Fry from both sides till it become golden brown and crispy. 13) Remove it to the paper towel lined plate, so it absorbs the excess oil. Let it cool completely, about 20 minutes. And it will become more crispy. Once cooled down completely, you can serve them or store them in a airtight jar or container. Serving suggestion: Serve them as a snack with a hot cup of tea or coffee. It can be munched on anytime of the day. Take all purpose flour, sooji, salt, sesame seeds, black pepper powder, and carom seeds in a bowl. Mix well. Add oil. And rub it with flour mixture and it will resemble crumbly texture. 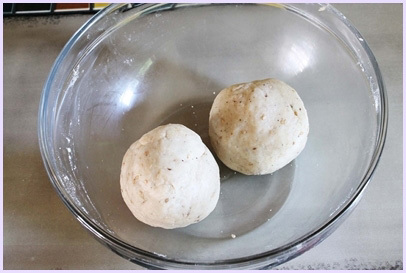 Now add little water at a time and start kneading the dough. 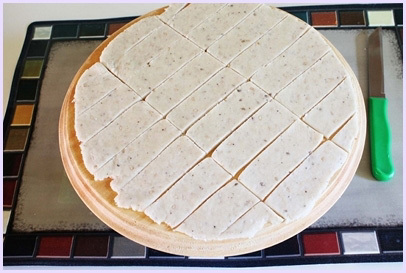 Make semi-soft (similar to paratha) dough. Cover the dough and let it rest for at least 15 minutes. After 15 minutes, knead the dough once again. Divide it into two equal portions. Flatten it out between your palm. Start rolling it into a big circle (about 9-10 inch in diameter). While you are rolling, on other side heat the oil in a pan on medium heat for frying. Cut into desired shape using sharp knife. Fry from both sides till it become golden brown and crispy. Remove it to the paper towel lined plate, so it absorbs the excess oil. Let it cool completely, about 20 minutes. Once cooled down completely, you can serve them or store them in a airtight jar or container. hi kanan..i tried namak pare last diwali..when hot they were crispy and tasted great but a day after, they were a bit hard..why? and would like to know if the oil and water added to the dough is hot or warm or chilled or just at room temperature..hoping to try making them again for this diwali with better results..
Use room temperature water. And oil also at room temperature. Try kneading the dough stiff (not soft). it will make the namak pare crispy. If the dough is soft then it becomes hard. The given water:atta ratio of just the guideline. follow your instinct. You may need more or less water depending on flour’s freshness and quality. yes you can. but you may need to adjust the water quantity. 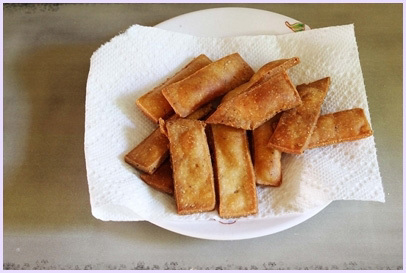 I have already tried namak pare and they turn out delicious..thks for the recipe..would like to try plain mathri but i can see the ingredients are similar to namak pare.. would like to know the difference between mathri and namk pare? Glad to know that namak pare came out good. Both has different proportion of oil and water. This gives the different texture and taste. Mathri is more flaky and it has little tight, stiff dough compared to namak pare. this looks delicious however can I bake these?